TamTam CVS SCC is a Microsoft Source Code Control (MSSCCI) compliant implementation that seamlessly integrates Concurrent Versions System NT (CVSNT) client with products like Microsoft Visual Studio / Visual Studio.NET, MatLab, FoxPro, 3D Studio Max and other MSSCCI compliant applications. TamTam CVS SCC supports getting latest files, check-in, check-out, opening solutions/projects, binding to repositories, auto-module creation, file history/diff, and just about all other source control features. In addition, TamTam supports advanced options for check-in, check-out, and get operations to provide access to tagged/branched versions and applying additional CVS options. 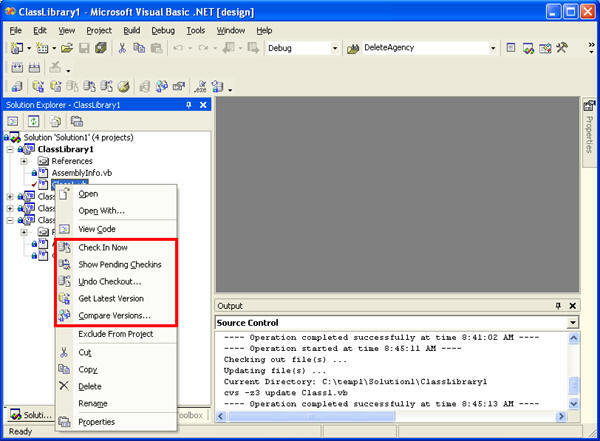 In addition to all the basic CVS functionality TamTam also performs auto module creation and auto file type detection. With auto module creation modules are automatically created on check-in where possible. Auto file type detection auto-determines if a file is text, binary, or Unicode and sets the appropriate flags so that your files are stored in CVS correctly. TamTam also keeps Visual Studio's .sak files out of your repository. Included with TamTam is SCCSwitcher for switching between installed source code control providers and CvsConflictEditor for handling merging between revisions. 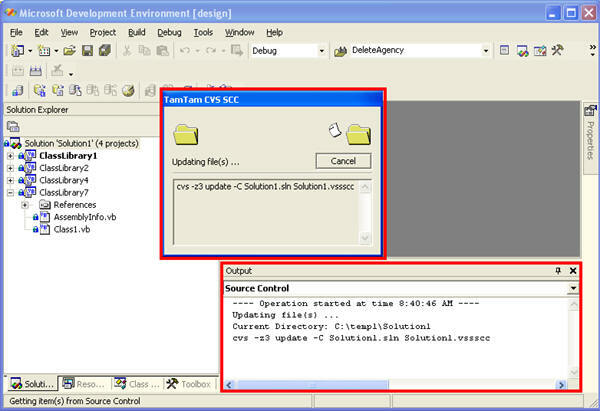 Please note that TamTam CVS SCC supports CVSNT 2.5.x commands which may be incompatible with older cvs/cvsnt servers. Automatically handles Visual Studio's ".sak" files and keeps them out of the CVS repository. Evaluate TamTam CVS SCC for as long as you'd like. The unregistered version will display a registration dialog every 15 minutes. If you're happy with this product then please register it for ONLY $9.99 (USD).